Junior Springbok coach Chean Roux praised his team’s character as they produced a solid second-half fightback to earn a rewarding 48-23 victory over Georgia at the Danie Craven Stadium in Stellenbosch on Friday. It was the South Africans’ second warm-up match in preparation for the World Rugby U20 Championship. The first half was tight as the Junior Springboks scored three tries to a converted try and two penalty goals by their Georgian counterparts, which saw them lead 17-13 at the break. The visitors took the lead briefly in the second half, but the SAU20s held their composure and showed fantastic character to score five second-half tries to power their way to victory against their U20 Championship pool opponents. “This match was great preparation for the World Rugby U20 Championship,” said Roux. “Georgia came out firing in the first half, and that is exactly what we wanted. With a whole lot of personnel changes for this Test it took the players a while to get into the match, but it laid the foundation for the guys that came on to really excel and it is pleasing that we got almost 50 points on the board. The visitors struck first as their flyhalf Tedo Abzhandadze kicked a penalty goal in the third minute, but their lead was short-lived as the hosts were awarded a penalty try four minutes later following a high tackle on the tryline. Roux’s charges built on this with a try by centre Manuel Rass in the 16th minute after sustained pressure on attack, which saw them extend their lead to 12-3. A lack of concentration on defence, however, cost the Junior Springboks late in the half as Abzhandadze navigated his way to the tryline, but the hosts struck back shortly after as winger David Kriel received the ball out wide and crossed the chalk. Abzhandadze, however, closed the gap on the scoreboard to four points shortly before halftime as he knocked over his second penalty goal. The Georgian flyhalf continued to make his presence felt in the opening exchanges of the second half as he kicked another penalty goal and then earned his second try with some illusive running up-field, which he converted to push his team into a 23-17 lead. But the Junior Springboks bounced back strongly as Wandisile Simelane, Schalk Erasmus and Lubabalo Dobela made an impact off the bench to finish off back-to-back tries, which pushed the hosts into a 38-23 lead with minutes left on the clock. The SAU20s finished the match on a high as Ruan Nortje and Sihle Njezula crossed the line to take their try tally to seven for an encouraging 48-23 victory. The Junior Springboks’ next assignment will be their UK Tour where they will face Scotland, Wales and England. 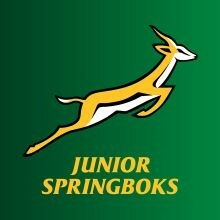 Junior Springboks 48 (17) – Tries: Penalty Try, Manuel Rass, David Kriel, Wandisile Simelane, Schalk Erasmus, Lubabalo Dobela, Sihle Njezula. Conversions: Lyle Henricks (3). Georgia 23 (13) – Tries: Tedo Abzhandadze (2). Conversions: Tedo Abzhandadze (2). Penalty goals: Tedo Abzhandadze (3).